Why? Because of the close examination and fervent discussion. Really, try it. 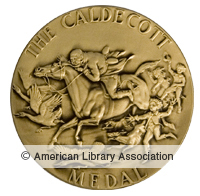 And no better time than this year, the 75th anniversary of the Caldecott Award. Think of someone to invite to be your presenter, or use yourself if you know a whole lot. Choose someone who brings some kind of fresh, unique, amusing, or knowledgeable perspective to the art of the picture book. Reviewers, illustrators, educators, editors, writers, etc. all are possible. Meet with a friend with whom you agree about the most important things, such as dogs and what makes a good picture book. Get a mammoth pile of eligible books (eligibility requirements for Caldecott are here: (http://www.ala.org/alsc/awardsgrants/bookmedia/caldecottmedal/caldecottterms/caldecottterms ) Visit your local Indie bookstore. Go through books, generally avoiding text (see criterion 3. I know, it’s a killer.) Discuss in reasonable and friendly fashion. Seek books that have gotten lots of starred reviews, buzz, and are by previous Caldecott winners. Try for a balance of technique (everything from handmade paper to digital art) and style. Make three piles: yes, no, maybe. Be on good behavior. Do not throw books on the floor while screeching about annoying things. Laugh as much as possible while making selection of about 15 books. Too many=impossible event. Too few=not so much fun. Before sending out news of event, find venue and make sure it has bathrooms, room for small breakout groups, tables for book examination, and possibilities for lunch. Begin to get excited. Wait for registrations to pour in. Look at books. Welcome people as they arrive. Have coffee/tea and something yummy but not too sweet. Have handouts of Caldecott policies and previous winners/honor books. Also useful: a handout on book discussion. 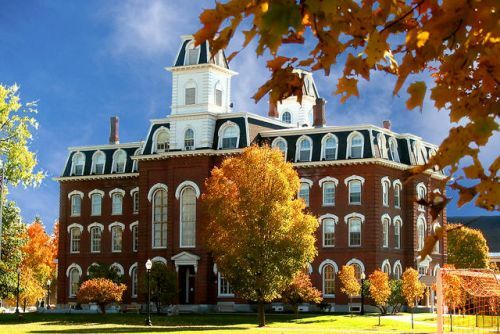 For example: http://ccbc.education.wisc.edu/books/discguide.asp Encourage participants to stay away from “my child liked this” comments, etc. With all assembled, go over ground rules and schedule. Introduce presenter. Listen to presenter. Smile, nod head in acknowledgement of brilliance, gain insight. Thank presenter. Provide time to examine books before and during lunch. Books are laid out on tables in the back of the room. Encourage participants to bring extra copies of any titles they have. Provide stickies so books can be matched with owners. Have entire crew count off for small groups. Good number for groups is somewhere between 6 and 10. Break into groups, assigning space for each one. We schedule an hour and a half for small group discussion. Wander about to make sure everything is going well. If someone is dominating, deal with it. Someone not speaking? Deal with it. Make sure everybody has what they need. Eavesdrop to see how your favorite book is doing. Give ten minute warning. Each group must choose (consensus) ONE TITLE to present to the larger group. Small groups should choose their most persuasive speaker; someone who can be specific and articulate about illustration. Reassemble large group. Have each small group present choice, write on board or paper. Use common sense to narrow field and vote for winner. Decide whether there should be honor books based on spread of voting. Remind everyone that THERE IS NO SUCH THING AS ONE BEST BOOK. Congratulate participants on a job well done. Send them home all aglow. I’ve learned so much, and not just from the stellar presenters. I’ve learned a lot about group dynamics, about how some people can squash productive conversations while others consistently encourage it. I’ve learned how important it is to be able to articulate what it is that makes a book outstanding—or not. Love all by itself isn’t enough: opinions must be well-defended and based on the art. I’ve watched people listen well to others and even change their minds. I’ve studied how crucial body language can be among people with strong opinions. I’ve watched alliances form and dissolve as a book comes under careful consideration. I’ve watched animosity flare and –mostly–dissolve. In 1998, I had the honor of serving on the real (1999) Caldecott committee, and I tried to bring everything I’d learned with me. In turn, I learned even more. The people on that committee were an extraordinary bunch full of insight, passion, and wisdom. I am eternally grateful for the opportunity to spend time in a locked hotel room with all of them. This year, Grace and I will co-present. We plan to go off-record, as it were, in expressing our rather strong opinions (strong opinions are GOOD) about this and that. Books that should have won or shouldn’t (I have one); books that caused controversy, etc. For example, there are a lot of wordless books to consider. I admit to finding this a bit disconcerting. The reason should be obvious: I’m a writer, not an illustrator. Where are the unforgettable stories, the words that remain imprinted forever in the mind? And why are so many of the wordless books created by men? Or are they? There’s something to ponder. In any case, I’m excited. Talking about picture books in a careful, thoughtful way is infinitely rewarding. Seeing what’s rising to the top of the illustration heap is fascinating. And above all, I get to see once again what a miracle the picture book is. May it live forever. What a wonderful blog post! Helpful, thoughtful, and frequently, laugh-out-loud funny! I love hearing about all this, Leda. What a lifetime of useful secrets you have in you! Thank you, Martine! I’ve forgotten 99% of them, however. I feel so lucky that I live close enough to go to this and experience you and Grace in action together again, talking about a topic I can never get enough of. I’m so glad you’re making dog progress, Sarah! And of course I wish you could be here. You are so wise. Leda, this was so much fun to read! Any time you want to talk books and dogs, I’m there!